For information on exam content, please review Testing Experience. We understand that sometimes paying for fees associated with sitting for the CPA exam is difficult. If you are interested in applying for one of the many exam scholarships related to the exam and succeeding in the working world, please visit the AIPCA and ICPAS websites, as well as the CPA exam providers listed in the section below. The ILBOE does not endorse ANY particular CPA exam provider. The names and links below are provided for informational purposes only. Becker has helped nearly one million candidates prepare for the CPA Exam. With over half a century of experience and a proven study method, we can help you pass, too! Highest quality materials, including the most up-to-date content covered on the CPA Exam. Comprehensive preparation ensures no surprises on exam day—the functionality of our course mirrors the CPA Exam in every way. Flexible course formats to fit your lifestyle, work schedule and study preferences. For a 15% just for visiting this page, please see our FB and Twitter posts from 10/30/2017 for the link. Prepare to pass the CPA Exam with expert instruction, powerful technology, and unparalleled support. Fast Forward Academy’s CPA Exam Review includes comprehensive textbooks, over 80 hours of instructor-led video, 5000+ review questions and simulations, unlimited practice exams and more! As the leader in accounting exam prep for over 40 years, we've helped accountants pass over 1 million CPA exams. We're so confident that our proven approach and extensive experience will help you pass the CPA Exam that we give you our no-hassle Access Until You Pass® Guarantee: You pass or your money back. Completely comprehensive content: Our bite-sized video lectures, largest bank of exam-emulating questions available, and beyond basic CPA Exam blueprints coverage provide maximum confidence for exam day. Interactive SmartAdaptTM technology: Our proprietary adaptive platform targets knowledge gaps, customizes your study path, and delivers sophisticated analytics for efficient and effective studying. Unparalleled candidate support: Our Personal Counselors, accounting experts, and technology gurus won't leave you to take the CPA Exam alone. They supply answers, advice, and encouragement for the duration of your exam journey. Pass the CPA Exam with the Lambers Self-Study CPA Review course! Watch Lambers Professors lecture on hard hitting topics and work hundreds of CPA Exam questions onscreen. Reinforce your learning with the Lambers Adaptive Learning Software. Textbooks also included. Roger CPA Review is a leading e-learning company helping aspiring accountants achieve career success. Roger CPA Review is EFFICIENT. Our student’s time is valuable; we respect that. 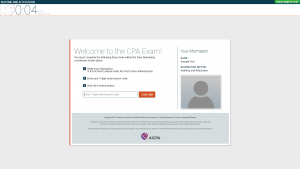 So, we’ve streamlined our eLearning system to focus on exactly what is needed to pass the CPA Exam. No optional chapters. No unnecessary exposition. No wasted time. (No joke!) Roger is EFFECTIVE. With an 88% pass rate, the proof is in the numbers. Our lectures, textbooks and practice questions are broken down into micro-learning structured lessons that help keep you focused – and helpful memory aids and mnemonics make sure you absorb all of that vital information. Roger is ENJOYABLE. The CPA Exam doesn't have to be so bad (we promise!). We believe the key to success is enjoying what you do - the more you enjoy studying, the more likely you are to succeed. It’s no wonder we receive reviews from students who actually miss their course after passing the CPA Exam! Over the years, thousands of successful CPA candidates have attended the MDS CPA Review Classroom Course. If you are looking for quality instruction to pass the CPA exam efficiently, you need to take Steve Martin's course! The exciting instruction style, personal attention from the instructors, and over 35 years of CPA Review instruction, is what separates MDS from all other courses. 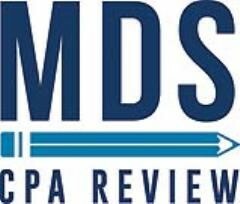 For self-study students, MDS CPA Review's state of the art classroom instruction videos can be viewed online and 6,000 homework questions are also online. The MDS Tutor Self Study System videos can be watched from anywhere at your convenience without losing the same excitement as the classroom instruction. Why spend thousands and thousands for other courses when you can get more with MDS for half the price! Surgent CPA Review can help students prepare for the CPA Exam faster than other review courses through their 100% online course that utilizes a state-of-the-art adaptive learning platform that shortens study time and improves retention allowing students to prepare and pass faster! 2) The Premier Pass that includes everything with the Essential Pass plus printed textbooks, flashcards, and one-on-one coaching. Tutor the People CPA prep offers one-on-one tutoring on all sections of the CPA exam, both online and in-person. Tutors work with students to first establish their existing foundation in each section, and then create a custom-tailored study plan that builds upon that foundation. 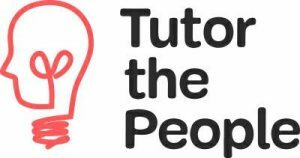 Tutor the People works with CPA students around their schedules, whether they are working a 9-5, studying full-time, or anything else. Tutors work with students using their preferred combinations of materials, and help develop a plan of attack using students' preferred resources. 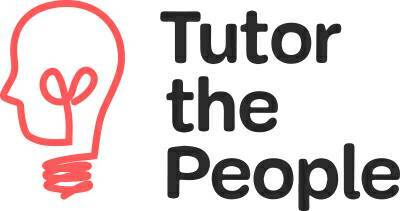 Tutor the People provides students with 2,000 practice questions to supplement their studying. Yaeger CPA Review is the best value in exam preparation on the market. No other course offers more. Plus, everything has been redeveloped to incorporate the required AICPA blueprints. According to the AICPA, the blueprints should be the “primary preparation resource” for CPA candidates and are an “essential study tool.” That’s why these blueprints are the backbone of our course. Please select “Contact Us” in order to call, email or e-chat.